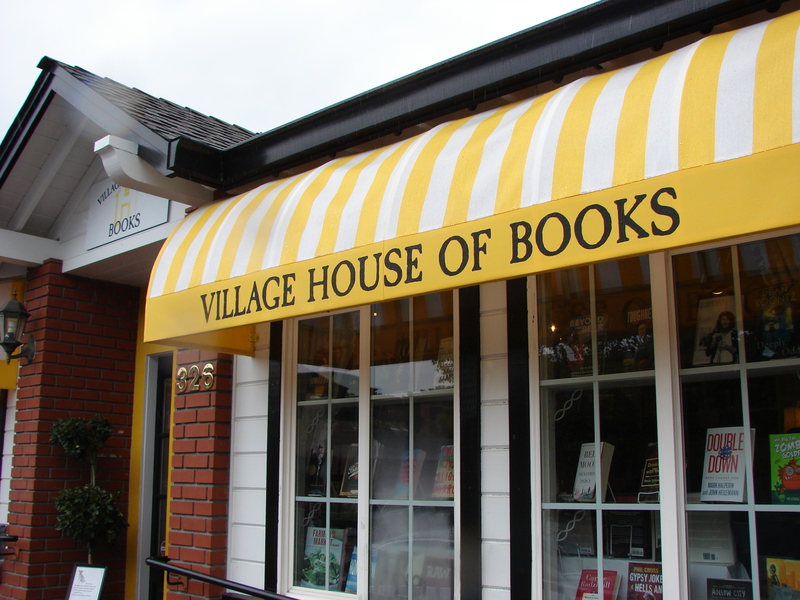 Today we continue our Independent Bookstores blog series at Village House of Books in Los Gatos, CA. I had the pleasure of interviewing owners Steve and Cheryl Hare, the warmest and most down-to-earth bookworms you could imagine. This new bookstore just opened its doors on August 17, 2013, but it already has a romantic history–Steve and Cheryl signed the building lease just 8 days before their wedding and ordered books on their honeymoon. Together these book lovers have created an inviting space in artsy, community-oriented Los Gatos. Located in a building that’s previously been a hair salon, a yarn store, a guitar hospital, and a yoga wear shop, Village House of Books has a cozy, relaxing feel. Yellow walls, vintage furniture, and thoughtful accents like curtains and chandeliers make it feel like home. And that’s not even mentioning the books. Steve and Cheryl say they’ve chosen a lot of the books for their colorful covers as well as their content. They take customer suggestions for which books to stock and special-order books if they don’t have the title in the store. 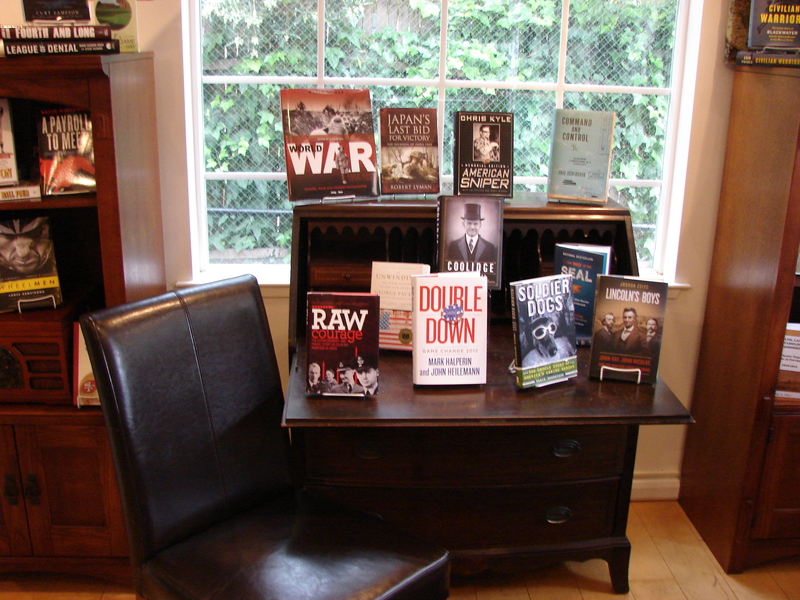 Many of the books are creatively displayed face-out, so it’s easy to meet new books without looking very hard. 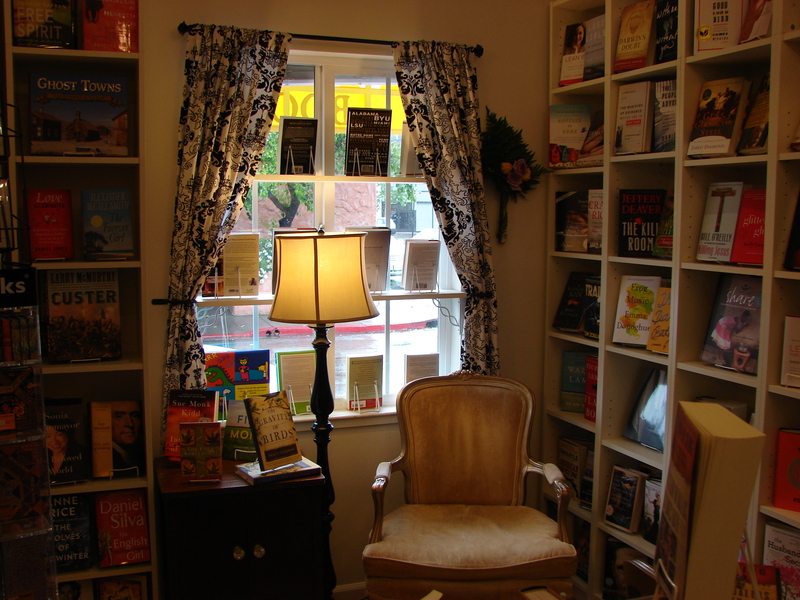 The staff works closely with local authors in every genre, hosting readings, book clubs, and signings nearly every week. I even recognized one of the local author books! Lit Knits by my talented friend Audry Nicklin looked quite at home in the nonfiction section. 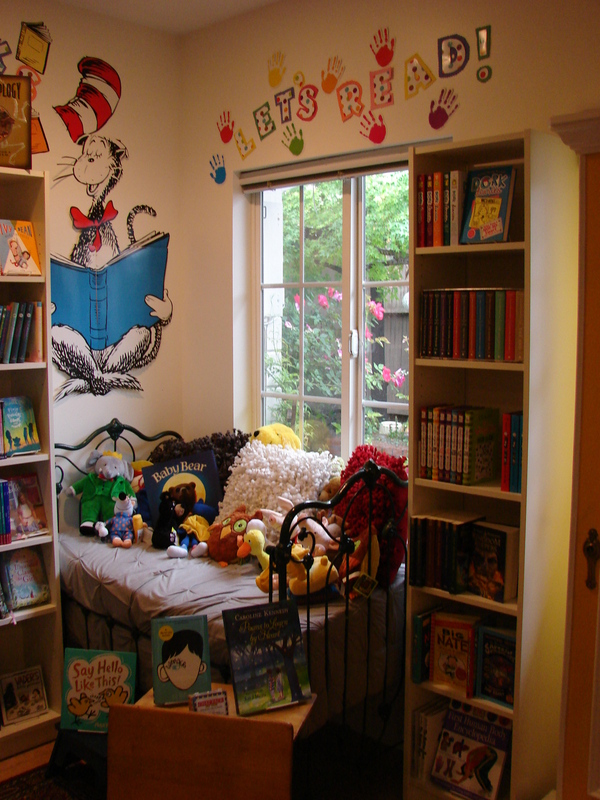 Cheryl says her favorite section is the children’s nook, and I have to agree. A wall painting of the Cat in the Hat, a vintage bed window seat, and a fuzzy array of stuffed animals made me want to move in. To my delight, The Illuminator’s Gift is now at home in this very section! You can drop by for a copy anytime. But for some extra fun, stop in on Saturday, May 3rd…it’s California Bookstore Day! …and yours truly will be representing the kids’ section! Come between 10 and 12 in the morning to visit cover illustrator Amalia Hillmann and me! There will be a book signing, a chance to check out TIG’s original cover artwork, and balloons and storytime for the kids. It will be a great day to meet a variety of local authors and book lovers as well as support a beautiful independent bookstore. I hope to see you at Village House of Books on May 3rd! NEW: The Illuminator’s Gift Audiobook!! Order the award-winning first book on Amazon! Sign up for my e-mail newsletter!